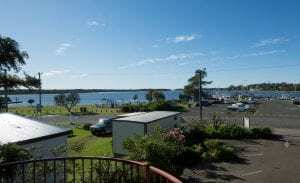 Set in a delightful location next to very good seafood eateries and near a charming jetty, this place was a delightful surprise. Clean and comfortable rooms and friendly staff and a bottle of wine in the fridge! "Always a pleasure staying here"
We booked for one night as part of a weekend away from Sydney. After a day on a motorbike, we were very tired and ready for a hot shower. Rob welcomed us with open arms, instantly making us feel at home. He helped us with dinner recommendations and local sites.